What better mystery to review for Earth Day then one that involves gardens! 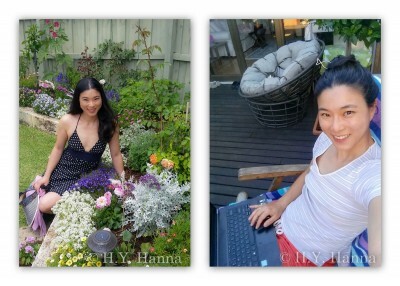 We also have a garden related guest post by H.Y. Hanna. Details at the end of this post on how to enter to win an ebook copy (we are only giving away ebooks this week in honor of Earth Day) of Deadhead and Buried, and a link to purchase it from Amazon. Oxfordshire is in full bloom with color, fragrance, and murder! This year USA Today Bestselling author H.Y. Hanna has introduced a new series, an English Cottage Garden Mystery, with the release of Deadhead and Buried (February) and Silent Bud Deadly (March) with Doom and Bloom coming soon. Twenty-something Penny Lancaster has left the city for life in the countryside after inheriting property from her grandmother, but with an overgrown garden nursery, need-of-repairs cottage, demanding tomcat, and a few murderous mysteries her quiet living may have a few deadly weeds! 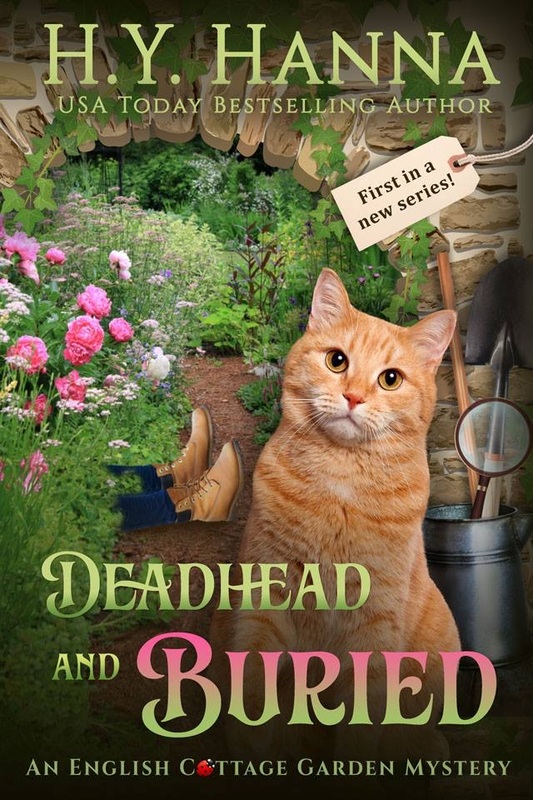 Deadhead and Buried earns 5/5 Sprigs of Heather…Engaging Can’t Miss Read! What would make one quit their job? Demanding boss. Personal rebukes. Docking pay. Poppy Lancaster acquiesces desperately needing her paycheck, but when the last straw comes, quitting is the only solution. A prophetic chance meeting and gift of a papier-mâché, sprig-of-heather pin (Heather symbolizes transformative change—from the mundane to the extraordinary) heralds changes. The mundane is left behind and the extraordinary leads to the Oxfordshire countryside, “…you are the sole beneficiary of her estate.” Extraordinary isn’t without its problems: missing keys, questionable green thumb, long-lost family, four-legged and two-legged intruders, a handsome neighbor, and a dead body planted among the overgrown flowerbeds. Poppy decides to investigate the death, but her challenge channeling a green thumb is the least of her worries. H.Y. Hanna is my most favorite author of my two most favorite series (Oxford Tearoom Mysteries and Bewitched by Chocolate), so I was ecstatic about her new series that would once again whisk me off to Oxfordshire. Her well-written mystery introduces a plethora of characters, some quirky, with clever motives, a few twists, some family drama, and an exciting surprise ending. 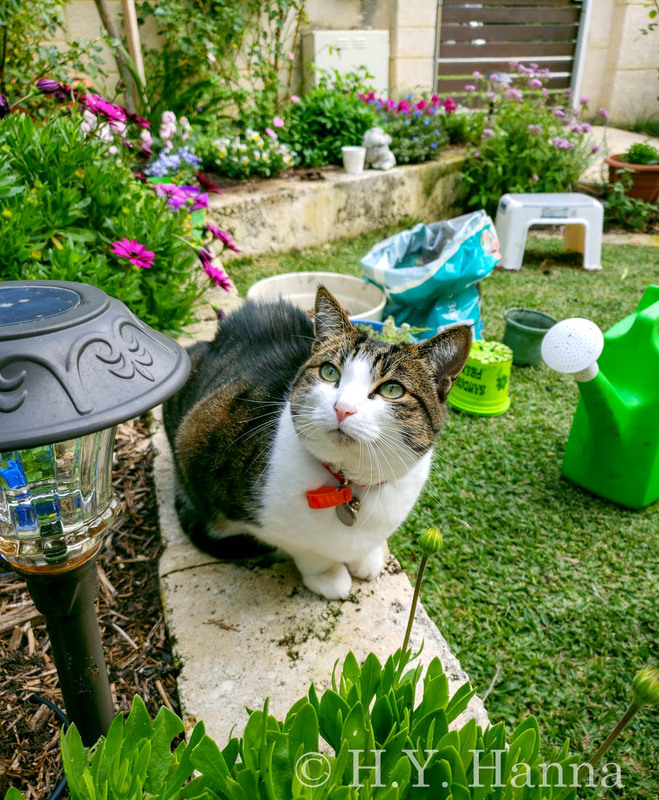 Weaving through the drama she focuses on English gardens, small village life, and another fun feline…a big one with a demanding nature! Love it! Although the murder investigation doesn’t get started right off, something I prefer, my attention was immediately engaged with introductions and a compelling back story. I prefer a first-person narrative, but that’s easily overlooked because Hanna’s style is well-paced, clever, and entertaining along with vivid descriptions and banter that illustrates well the tone, emotion, and personality of the characters. Poppy has joined a marvelous community of Hanna women (Gemma Rose and Caitlyn Le Fey) who lack confidence and struggle to overcome their past or insecurities, but they find their inner strength and their skill at amateur sleuthing. Romance? Maybe…there is that handsome neighbor who happens to be a crime writer. I highly recommend this first in the series. Oh, to be honest, I recommend anything from H.Y. Hanna! H.Y. Hanna is the author of my all-time favorite series the Oxford Tearoom Mystery. This nine-book with a prequel series comes in all versions: print, eBook, and audio. The stories are engaging and clever, the characters are well-developed, and a little treat is always included for you to bring the Tearoom into your home. She also authors my second favorite. She takes the very entertaining five-book Bewitched by Chocolate series and adds a bit of magic to her mystery along with close friendships, possible romance, family secrets, and an over six-centuries-old vampire who loves his fruit! 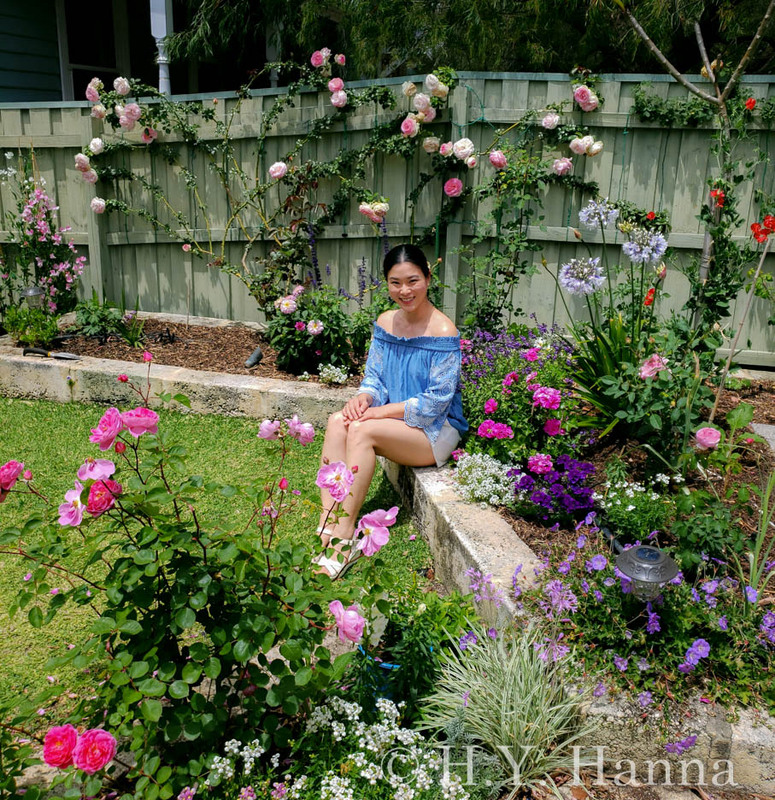 I’ve always loved the romantic image of a traditional English cottage garden, bursting with flowers and heady with perfume, with climbing roses and scented herbs, and the wild, natural look of many different plants crammed together. For many years, though, I only looked wistfully at other people’s gardens, never having the confidence to try gardening myself. Then about eighteen months ago (perhaps coinciding with a happy slide into middle age – haha!) I decided to give gardening a go, and I absolutely LOVE it! Everyone told me that I’m crazy to try and create an English cottage garden in Western Australia — with its hot, dry climate and very poor sandy soil which doesn’t hold nutrition or moisture. Summers here often reach 40+C (104+F), with no rain for months on end, and the intense sunlight and heat fries everything to a crisp. This is not the ideal environment for many of the delicate flowering plants that are traditionally found in English gardens, such as foxgloves, delphiniums and hydrangeas. Even roses – especially the David Austin type with the old-fashioned, full blooms that I love – burn easily in the hot sun. In addition, the heat and long growing season here means that there are pests in abundance – from grasshoppers the size of small dogs (okay, I’m exaggerating but only slightly!) to an endless barrage of caterpillars, spider mites, and mealy bugs. I have to say – I never used to swear until I started gardening – haha! But despite the challenges and setbacks, and the steep learning curve (yes, I have killed many plants! ), gardening has been a wonderful, uplifting, inspiring experience. As an author, I spend way too much time indoors sitting hunched over a keyboard, so gardening has been great for giving me daily exercise, fresh air, and sunshine… plus writing inspiration! Yup, my gardening experiences have inspired a new series of books! I have just launched my new English Cottage Garden Mysteries, and it has been great fun following the heroine, Poppy, as she leaves her city girl life behind to move to the countryside when she inherits a cottage garden complete with romantic climbing roses, scented herbs, a bossy, talkative cat… and a dead body! To enter to win an ebook copy of Deadhead and Buried, simply email KRL at krlcontests@gmail[dot]com by replacing the [dot] with a period, and with the subject line “deadhead,” or comment on this article. A winner will be chosen April 20 2019. U.S. residents only for the print copy. If entering via comment please include your email address. You can read our privacy statement here if you like. This sounds like one I would really enjoy! I love her Tearoom series. I would love to win an ebook of this new book series of hers! Thank you for the chance!! Great cover, would really like to read. Thanks for the chance. Love the kitty on the cover! Thank you for this chance. Loved the Bewitched by Chocolate series, would like to read this one, too. I already have the paperback. Haven’t read it yet, but I am reading the second one that I have in e-book.